Rules To Favor The Rich, Bangalore Parking Is No Exception! 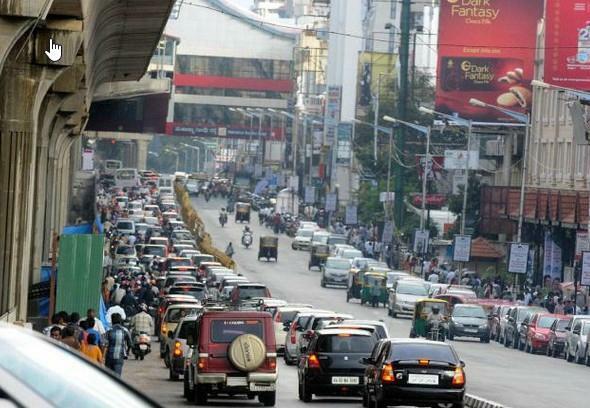 Congestion problem in Bangalore is one of the most talked problems in today’s India. The country had given away its natural resources and public properties either at low costs or for free completely. This way, the country has wasted away a good opportunity to collect a large amount of money from its pedestrians. The Government of India has overlooked many such possibilities which could have been profitable for the government itself. One of such possibilities is, instead of allowing free parking, charging a limited amount of money for parking. Huge traffic and congestion problem is the biggest problem in Bangalore. With almost 10,000 kilometers of long and twisted roads, the city faces a huge traffic problem and especially parking problem almost every day. Both the public and private vehicles use these roads to move from one location to another. While the government is trying to widen Bangalore’s roads, people have to use the limited road space. In this limited space, can parking is a big issue. The number of cars is huge but the parking space is limited. At the same time, the available limited car parking space is given away for free completely. When the roads are completely congested with cars, the roadside parking is free for all! The government of India can utilize this situation to collect a good amount of sum. Instead of road-widening, the Government of India should charge money for car parking. Undoubtedly, this is the simplest way to control huge traffic in Bangalore. Previously, it has been noticed that people congest the car parking area as parking is completely free. Just imagine; if the parking areas on both roadsides have been used to construct buildings, then space would have been rented out either for residential or for commercial purposes. Till today, the Government of India has failed to collect a huge amount of revenue as it has allowed the people of Bangalore to use the parking space for free. As the wide roads include parking space on both sides, it gets difficult to manage traffic in the busy times. So, the Government of India should charge the real estate price from its people. If the people start paying for roadside car parking, the Government will be able to collect a good sum of money and solve the congestion problem in Bangalore. It has been calculated that the Government of India can earn a minimum amount of 500 crores per year. Once the rampant car parking menace in Bangalore streets is controlled, the traffic will be well-maintained and roads will be less congested. This will also help in moving traffic fast and smoothly. The public commuters are now going to ask the people to pay for parking in the busy roadside areas. Those who don’t use public transport have to pay a bit more for parking charges including autos and taxis. By charging for car parking, the Mahanagar Palika is now more financially stable and the roads will also be less congested.